When we celebrate Easter, I try to make their Easter Baskets reusable. 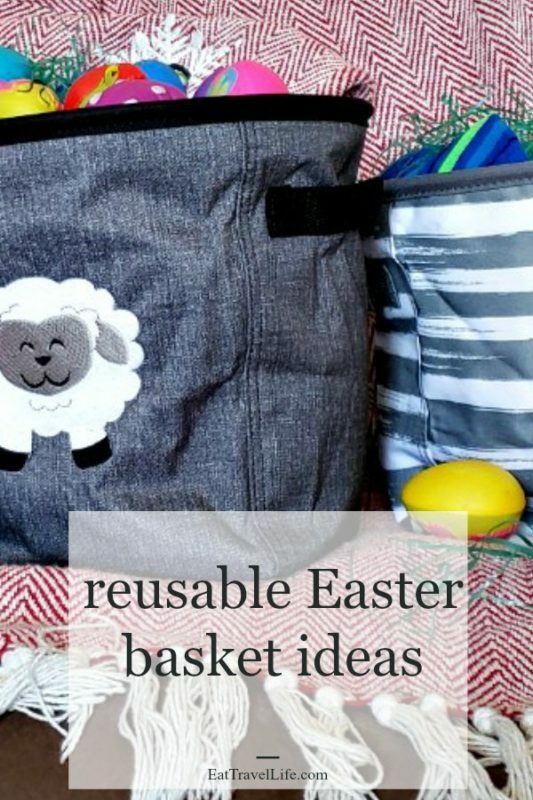 With that, I mean that the basket itself needs to have a dual purpose and not just be an Easter Basket. So when Thirty-One Gifts sent me a few baskets to share with you, I knew we would have dual purpose baskets. 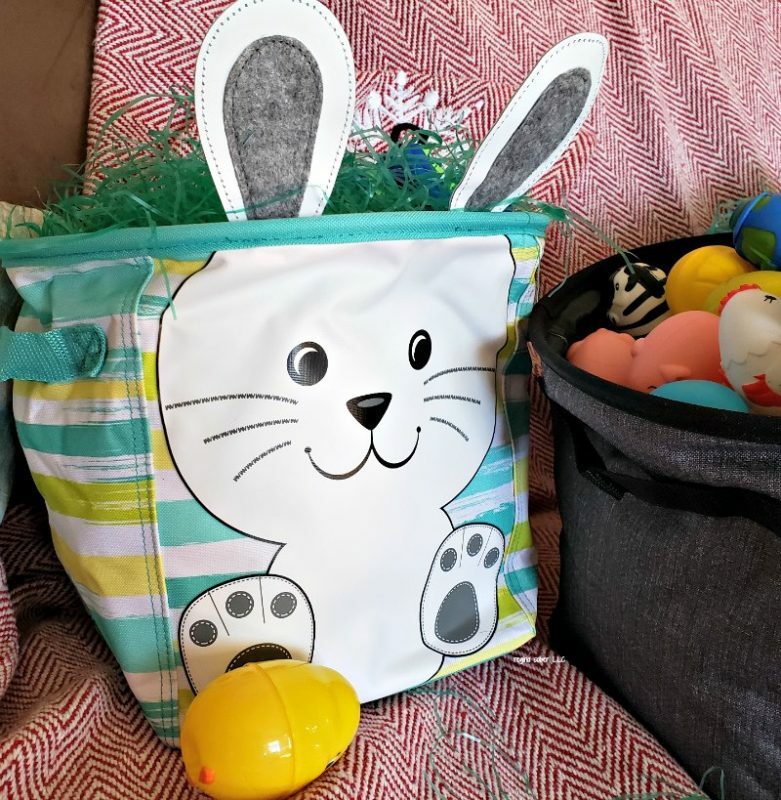 I have used Thirty-One Baskets for Easter for my kids in previous years and love them to pieces. I don’t have to find a place to store the basket and bring it out once a year. We are not tossing out and buying baskets every year either. 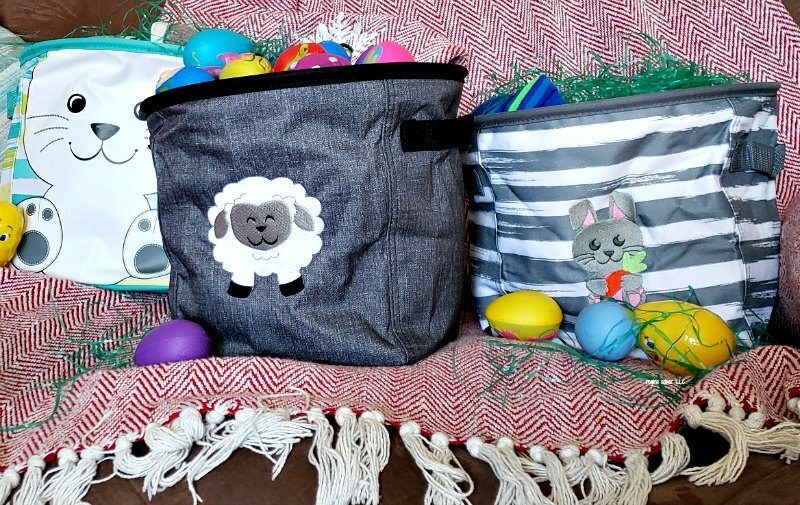 With Thirty-One, you get a tote or bin that you can use as a basket and then use it to help organize your kids crazy rooms. Or maybe your home is like mine that can use a tote that can hide a little of the mess. First these are perfect for Easter baskets. They are nice an a good size for the kids to use to gather Easter eggs. You can also use them to hold any gifts you give them for Easter. In our home, we give socks, sometimes underwear and chocolate. One of those is loved more than the others. I love that these bins have handles on them. It makes them easy to carry. 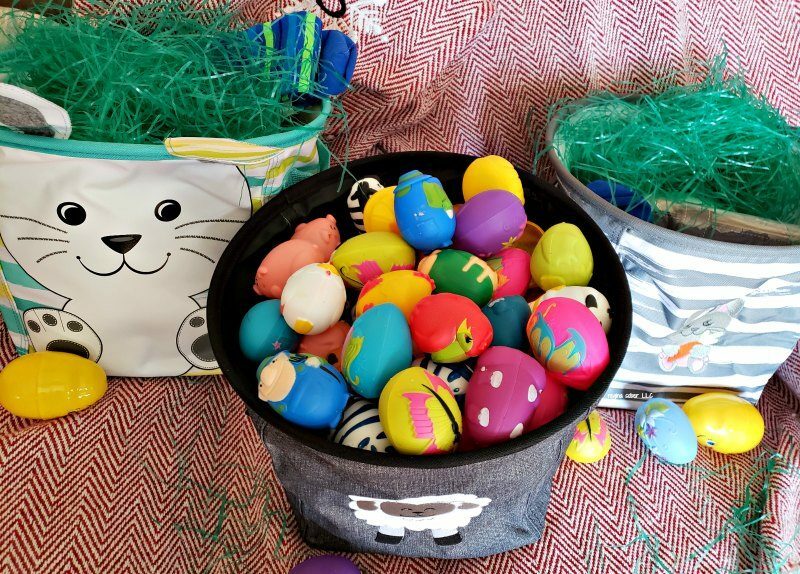 You can place lots of treats in them and easily hold them from room to room on your egg hunt. 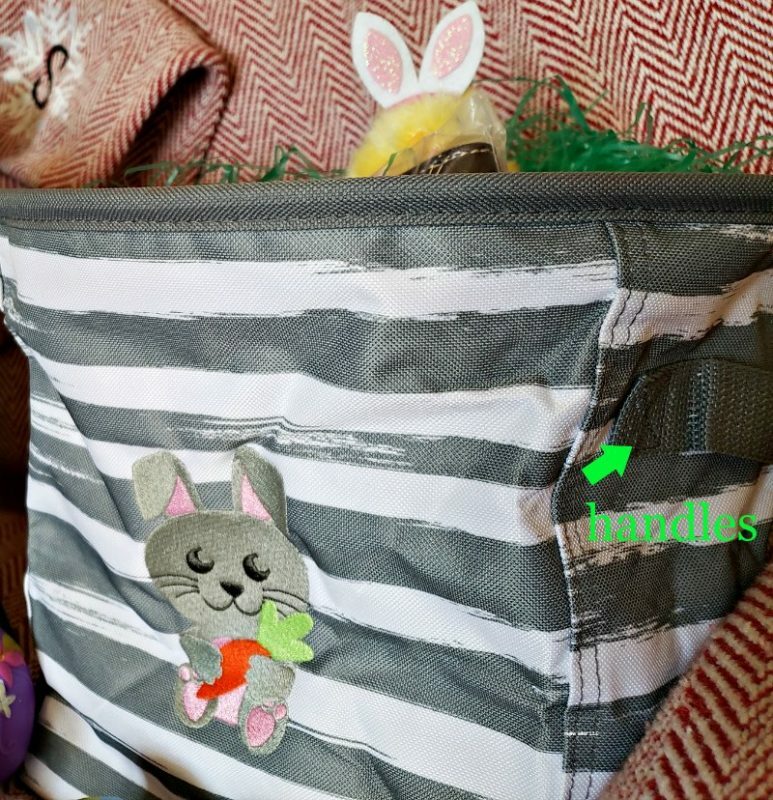 With Thirty-One, you can select from a variety of designs and personalize your baskets for your family. I love how cute the lamb and bunny are on these bins. You can easily shop online, and select your design and any wording as well. After Easter is over, our ‘basket’ becomes part of the kids room. We use them to store items in their room that are needing a place/home. Books that they leave next to the bed. My son has a floor of Legos that can be stored in the bin as well. They are great to put on the steps too and use to carry things up and down. 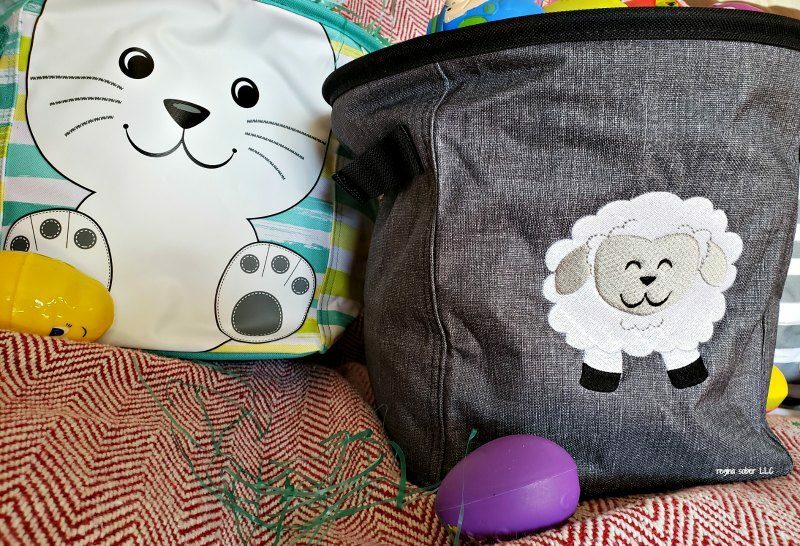 You can gather things and once the tote is full, take it up stairs on your next trip. 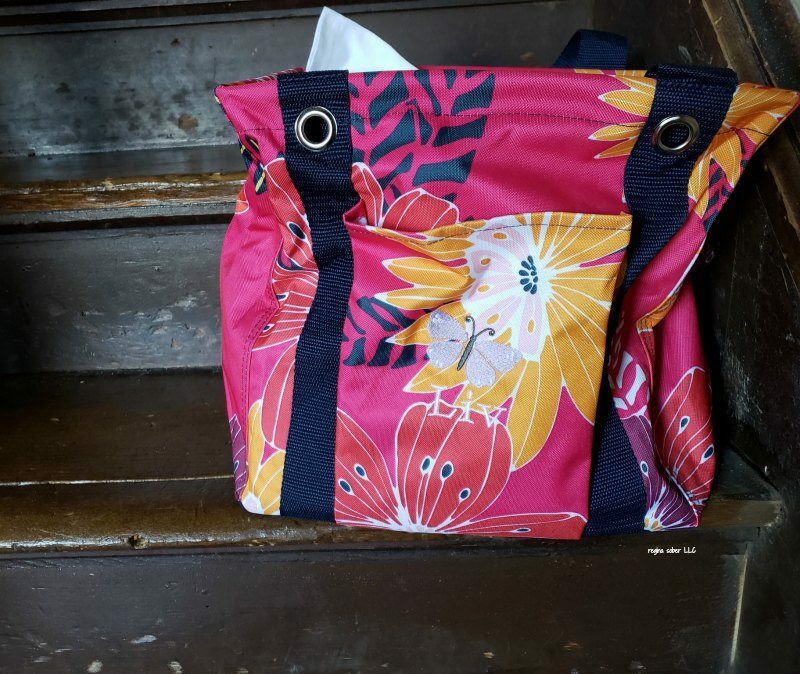 This tote is perfect for taking items up and down the stairs to keep the family organized. 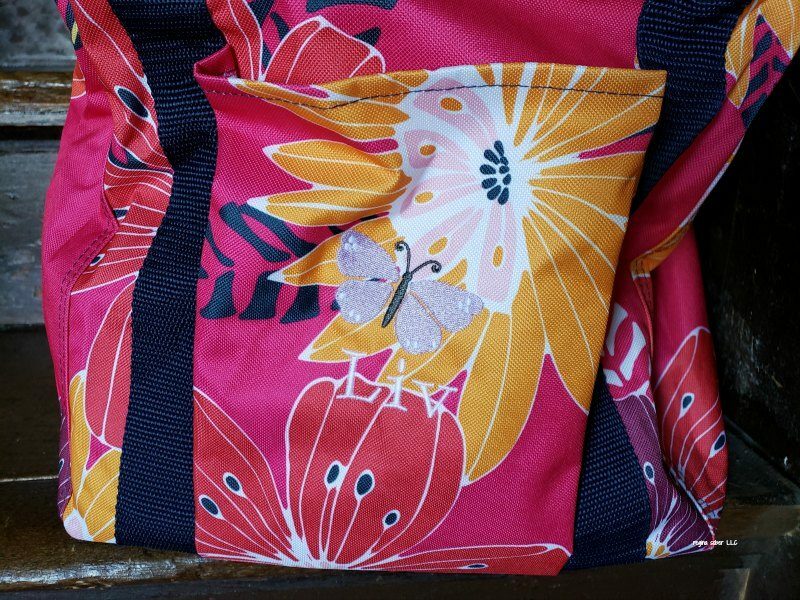 See the butterfly on the flower? We personalized this on purpose with light colors. You can always shop online to see what your personalization will look so you are happy with your purchase. Make sure you contact your consultant today to place your order or go online to find a consultant near you. Even better, host a party and get some products for free! Did you know that Thirty-One Gifts is named after Proverbs 31 from the Bible? It describes the attributes and the important of a “virtuous women.” Thirty-One has a mission to help women by giving them the opportunity to own their own business. Cindy Monroe, the found, started Thirty-One in her basement in 2003. The company now has grown to now have more than 1,000 employees. There are over 69,000 independent sales consultants in the U.S. and Canada.